The koala translocation group released into the Great Otway National Park north of Lorne and Aireys Inlet during November and December 2015 appear to have survived quite well through the summer and are generally in good health. There was a concern for the safety of these koalas while the bushfires were raging last December and January. In June, an additional location survey of the koalas was conducted by the Arthur Rylah Institute to assess survival and broader koala management. The final capture of the translocated koalas, will occur in August when the collars will be removed and an assessment of their condition carried out. A Broad-toothed Rat, Mastacomys fuscus, was detected during camera monitoring by fauna ecologist Peter Homan. The cameras were placed along the Kalimna Falls Track in the GONP. This is a significant find as it is possibly the only record of Broad-toothed Rat in this area of the Otways. This is a beautiful little rat, longhaired, compact, with a relatively short tail and is so-named because of the size of its molars. They prefer the cooler parts and can be found in alpine areas, the dense undergrowth of wet sclerophyll forests in the Dandenong and Otway Ranges, as well as sedge and heathland areas in Tasmania. They eat mainly grasses, as well as seeds, leaves and bark. They construct runways under vegetation and build nests of shredded grass under logs and in dense undergrowth (See ref. below). They are fairly rare and this might be because of predation by foxes and feral cats or competition from other native rats that share their habitats. There have been many recorded whale sightings over the last couple of months. Southern Right Whales, some with calves have been observed all along the coast from places such as Sunnymead Beach, Hutt Gully, Cape Patton, Wye River, Marengo, Cape Otway Lighthouse, Pt Addis and Bells Beach. Deer Footprints, unsure which species, found near the Anglesea River. A Raven was seen flying with twiggy nesting material in its bill. A female Pink Robin was observed perched in a tree at the Anglesea Bushland Reserve near Inverlochy Street. Wood Ducks have started nesting. First of all they have to find a suitable tree. While I was walking in the Anglesea Heath I could hear a growling sound coming from a female Wood Duck high up in a eucalypt. At the same time I saw the male in an adjacent tree. I imagined they were in the process of seeking a suitable nesting spot. It occurred to me that when the young ones tumble out, they would have quite a long distance to walk to the water. This is also the time for Masked Lapwings to start nesting. They are pairing off and showing territorial behaviour. 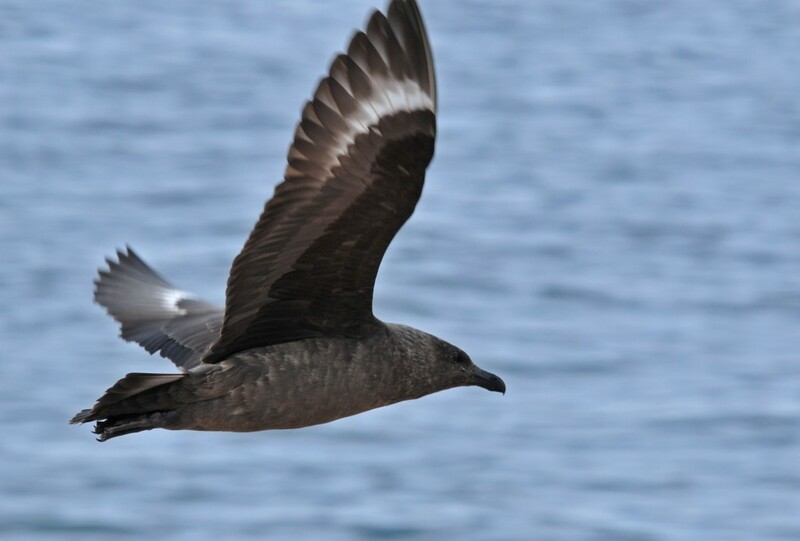 Eight Shy Albatross, two Black-browed Albatross and two Brown Skuas were seen close to the shore near Pt Addis. Ref: The Australian Museum Complete Book of Australian Mammals. (The National Photographic Index of Australian Wildlife.) Edited by Ronald Strahan.